Our calling, as followers of Christ is not a following of convenience. It is a following of love and passion for the One that first loved us. The One who willingly suffered excruciating pain, shed His blood and laid down His life in order that we would have access to fellowship with the Father. 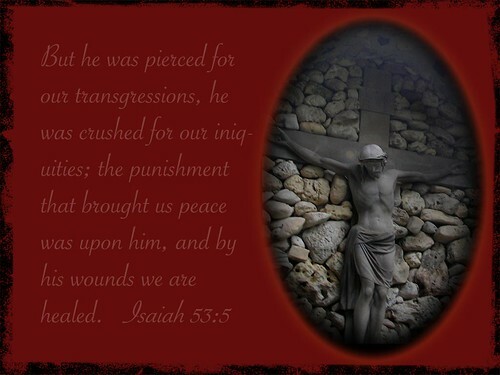 He provided the ultimate sacrifice on the altar of the cross and that was Himself. Enabling us to become the righteousness of God through Him. It would do us well to remember every time we come before Him in prayer of the high price He paid. Also, the deep love of God our Father that He loved us enough to provide His Son as the ultimate sacrifice! 1Peter 3:18 NIV 18For Christ also suffered once for sins, the righteous for the unrighteous, to bring you to God. He was put to death in the body but made alive in the Spirit. We serve an awesome, holy, just and loving God who has provided His Holy Spirit to draw us to Him and enable us to be transformed from glory to glory. He provides His Word that we can feed on. His supernatural Word that teaches, guides, transforms and gives us a firm foundation of promises to stand on. There is nothing He hasn’t provided for us to live a life in union with Him. However, just as any good Father He will never force us to choose Him. It is ultimately up to us to turn to Him. He wants our love to be given freely. He did not create us to be robots but gave us freedom to choose to love and follow Him or to reject Him. If we love Him, we need to live as if we do. If a loved one told you they loved you yet never spent time with you, you would have a very difficult time believing it. When we decide to put other things and people before our relationship with God we demonstrate disregard not love. No relationship will grow with neglect and abandonment and it is the same with our relationship with Christ. We need to spend time with Him in prayer, reading His Word and following His will for our lives. We need to serve others as He served. Colossians 3:1-4 NIV 3 Since, then, you have been raised with Christ, set your hearts on things above, where Christ is, seated at the right hand of God.2 Set your minds on things above, not on earthly things. 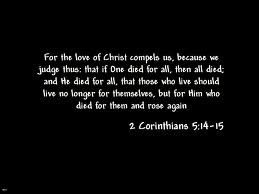 3 For you died, and your life is now hidden with Christ in God. 4 When Christ, who is yourlife, appears, then you also will appear with him in glory. If you have been neglecting Him, it’s time you put aside the things that are temporal and spend time with the lover of your soul. No other can compare or replace Him. Time spent without intimacy with Christ is time wasted on things that will soon pass. Time spent with Him and in His Word gives us the wisdom and guidance to make the right decisions in all the other areas of our life. When we put Him first the rest of our lives work out for His glory. When we put things and others first it ultimately results in chaos. Matthew 6:31-34 NIV 31 So do not worry, saying, ‘What shall we eat?’ or ‘What shall we drink?’ or ‘What shall we wear?’ 32 For the pagans run after all these things, and your heavenly Father knows that you need them. 33 But seek first his kingdom and his righteousness, and all these things will be given to you as well. 34 Therefore do not worry about tomorrow, for tomorrow will worry about itself. Each day has enough trouble of its own. Don’t put your relationship with Christ in a “convenience” category, thinking you will get around to spending time with Him later after you get all the things that are so much more important done. We are told to watch and be ready for His return at any time. There really is nothing worth sacrificing our intimacy with the One who gave His life as a sacrifice for us. My desire is that when He does return we will be found ready and waiting! 1 John 2:28 NIV 28 And now, dear children, continue in Him, so that when He appears we may be confident and unashamed before Him at his coming.